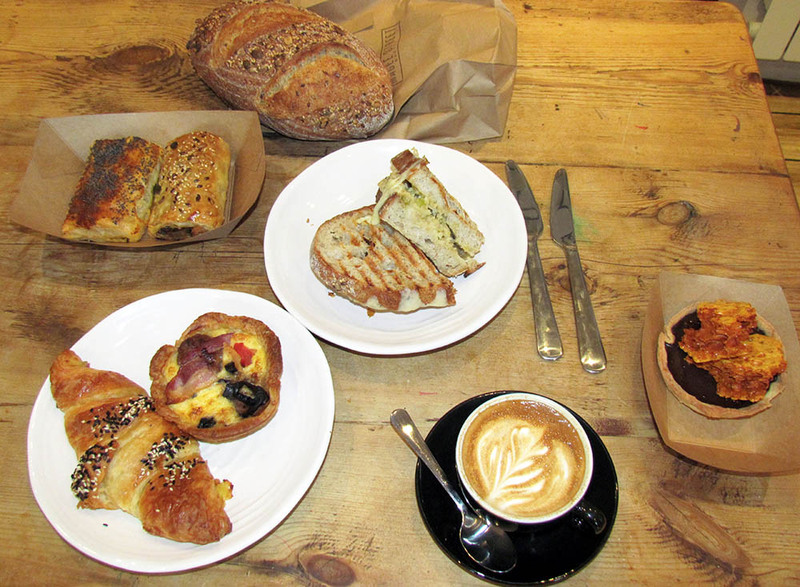 Gents and gent-ettes who love tasty, artisan breads, coffees and cakes rejoiced last year when we reviewed the newly opened Magee Street Bakery (have a read of our full review here). 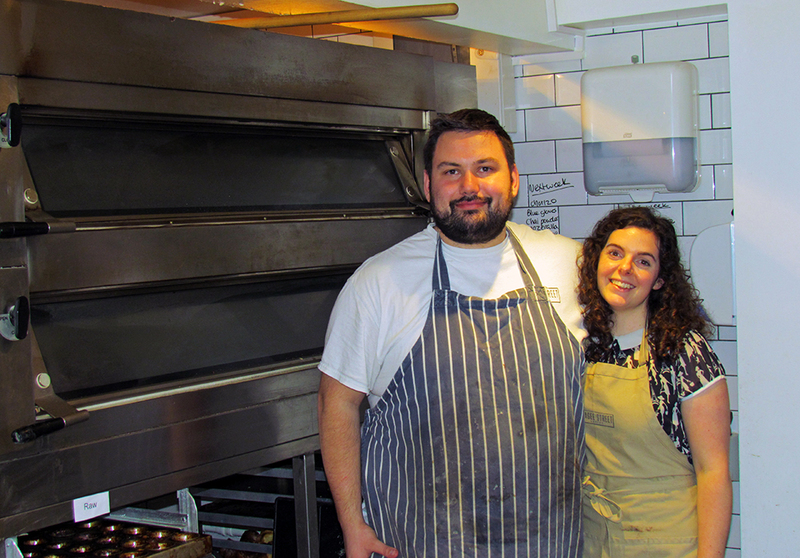 Launched by Tom and Maddy, the bakery and coffee shop was later taken on by couple Elliot Cantrell and Alexandra Jones in June 2015 following Tom and Maddy’s departure to Australia. 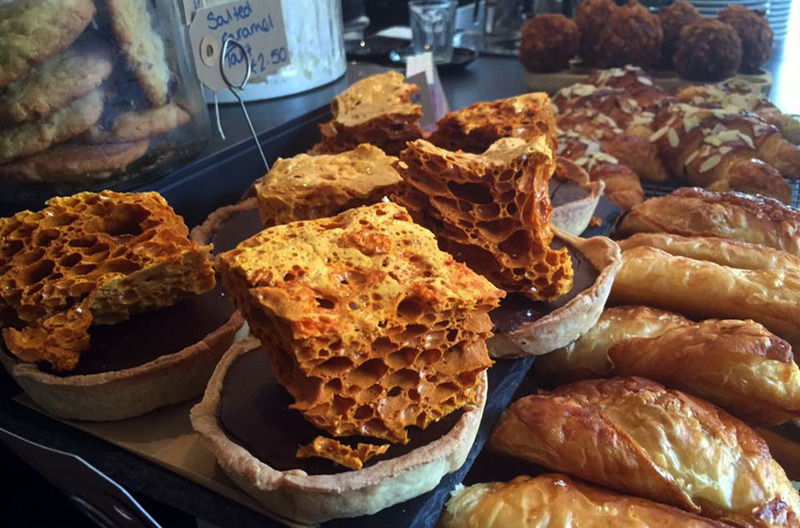 Since that time, the two have been busily working away and have built a reputation as one of the finest bakeries and cafes found in the county. With Magee Street going from strength to strength, we were curious to find out just what it was that had people queuing up down the street and decided to interview Elliot to find out more about the last twelve months, their culinary delights and what the future holds. NG: How have things been since you opened just over a year ago? Elliot: It only seems like 5 minutes since we’ve taken it over from Tom & Maddy, but it’s been about 10 months! We would love to thank them for setting it up, without their vision, none of this would’ve been possible. But people like what we are doing and we are having fun doing it. 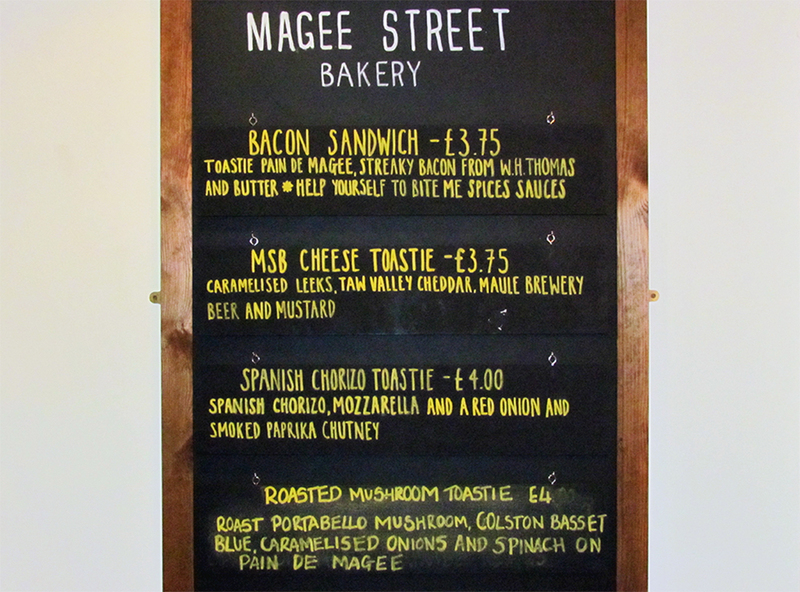 NG: We see Magee Street bakery constantly featuring different foods and sandwiches on the menu and on social media. Is being different important for you guys? Elliot: It is, especially because we have people who will come in weekly, sometimes daily, and expect different things. We want to make sure they aren’t disappointed. But we only do something different if it is right. Take our sausage roll; it is Northamptonshire sausage meat, Bramley apples and rosemary. It is a good sausage roll. You don’t need to f**k with a sausage roll to try and make it something it’s not. There’s no need to do weird and wonderful stuff just for the sake of it; only if it suits it. When we have time, we like to experiment and have fun to find out what we can do that is different but also enhances the original. NG: Are there any dishes that would have people up in arms if they left the menu? NG: You mentioned people returning and looking for new food and drinks to try. Do you have a loyal base of repeat customers now? Elliot: We would have to say the split is about 70/30 repeat which is great because it means we are doing something right. For example, we get Kate & Jake, a mother and son who come in every Saturday at 9am on the dot. He’ll get the sandwich special and she’ll get an almond croissant, so we know to have them prepared ready to greet them. I know the son loves cooking as well and he mentioned he wanted to try out using Sriracha chilli sauce. I had a spare bottle so I gave him it. He’s only 13/14 but I know he’ll come back in letting me know what he’s tried making and I’ll give him ideas. That’s the kind of reward I get for doing this. We do long hours but it’s that talking to people and building relationships that gives me the most enjoyment. A lot of people I would class more as friends than customers now. It’s really humbling and overwhelming to see the amount of people who come back and enjoy what we are doing. 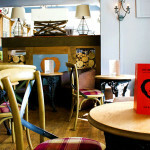 NG: Do you find people are always open and willing to give your different dishes a go? Yes and I think it is because people trust us. That comes over time; we aren’t a new place anymore and people know what we are about. You’ve got to start off small then when you’ve built that trust, you can start to do weirder and more out there things. But doing it to be good, rather than as a gimmick. Because of the repeat business, we also get to know what our customers may and may not like. So the mother and son I mentioned earlier, we know she loves goat’s cheese so sometimes we’ll make bread specially topped with it because I know she will appreciate it. It’s just little things like that. 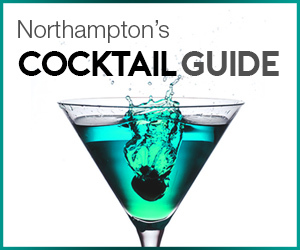 NG: There seems to be quite a few local cafes and bakeries springing up over Northampton. Is the bakery community quite close knit? Elliot: There is definitely a great community feel. The guys from the Plump Partridge come in all the time and have a nice chat. I like that there is such good competition because it means we constantly have to be at our best and innovate. If you are just standing alone, there is the risk of becoming complacent. 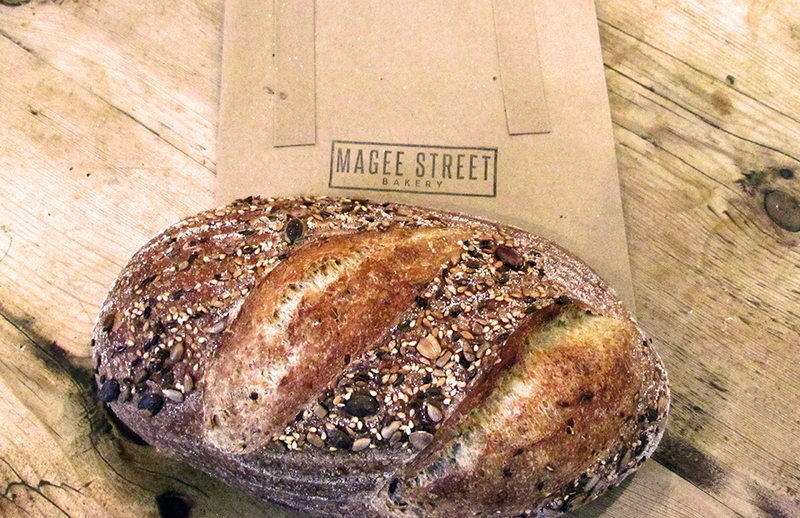 NG: So would you say Magee Street bakery is becoming a cornerstone of the local community now? Elliot: Yeah we see a lot of familiar faces through the door each week. If you look up at the coffee lovers wall, it says it all – and that isn’t even half of them! NG: Can you tell us more about the interesting art you have on the walls? Elliot: Again it’s about being a key part of the community. 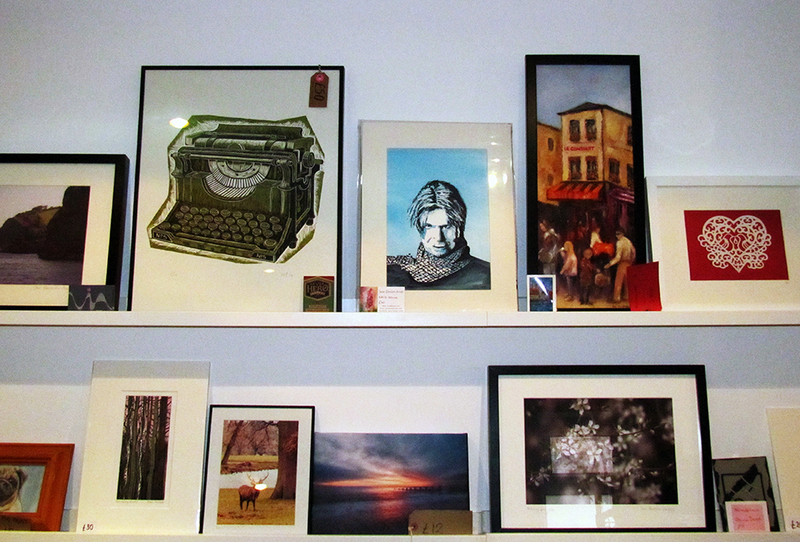 We found a lot of artists and creative people visited the shop for coffees so we had the idea of them having their art up on the wall to display and sell. It turns it into a gallery for local artistic talent almost. All the art is by local artists and we don’t make any money from anything sold. The reward for us is getting to help out local artists; plus we get some awesome art on the walls. Elliot: Ok let’s start with the seeded sourdough. We use Heygates organic flour, milled in Northamptonshire. Then water and sea salt and seeded if seeded or left plain for just a normal sourdough. It’s proved for 24 hours then stone baked at 230 degrees so it develops a great crust. Next is a special we have put on just for today; a morrocan lamb shoulder. 8 hour cook braised lamb shoulder with lots of morrocan spices, cumin, ras el hanout and all those really strong, good lamb flavours. There are chickpeas through it to help give more bite to it, as lamb shoulder can be a bit soft, especially with pastry. The top has been brushed with cumin, smoked paprika and coriander, just to give it different colour glaze throughout the rolls; then poppy seeds on top to finish. Then there is the halloumi roll. Halloumi is one of my favourite cheeses, mainly for its versatility. In there is halloumi, roast mushroom, sun fried tomatoes, soft cheese and fresh basil. The roast mushrooms and soft cheese give it some softness whilst the halloumi gives it some texture. Next up is the ham hock and taw valley cheddar croissant. On top are black and white sesame seeds to give it a bit of colour. Our ham hock comes from the local butcher WH Thomas in Ecton and we use as much Northamptonshire meat as possible and British as a standard. We don’t even say ‘British’ in our dishes because it is that way for everything. 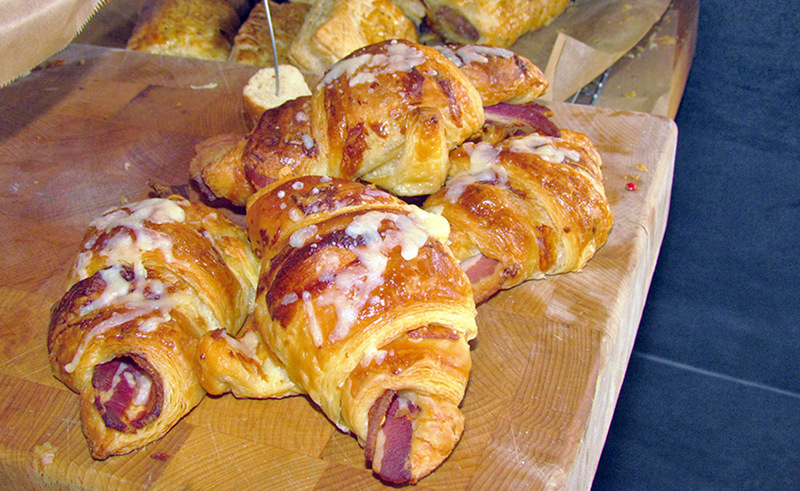 Our croissant is made pretty different to a lot of places as well. Whilst a lot of places may buy the croissant, cut it open then put ham and cheese in it, we actually cook the ham hock in a cheese sauce to give it some moisture then roll it into the pastry, cooking everything together to make sure all the flavours are embedded in. Then there is our breakfast tart, which is a weekend favourite. It is basically an all day breakfast in a tart. You have sausage, roast portabello mushroom, bacon, roasted cherry tomatoes, a bit of black pudding and egg as well. We are never going to be the kind of café that can serve a full English on a plate as we haven’t got that kind of space, so we needed to be a bit creative to be able to still give people the opportunity to experience that taste. OK on to the cheese toastie. For me, Welsh rarebit / cheese on toast is a really British dish so we wanted to do it justice. We use our sourdough and inside is melted Taw Valley cheddar, caramelised leeks and Maule Brewery beer in the mix for bitterness. We aren’t the type of place that is just going to serve up cheese on toast; we want it to be a treat. A lot of love, thought and effort goes into how we make all our food. 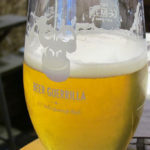 We try to collaborate with as many local business as possible as well, like Maule Brewery and Bite Me Spices, as it means we are all getting to help and support each other locally. But we wouldn’t select something just because it is local; it needs to be the best as well. Our priority is always flavour first. NG: So after a really successful year, what’s the plan for the future? Elliot: Our plan for the future is really just to carry on doing what we are doing. Keep doing the best food possible and just letting things build naturally everyday. If we are going to say one plan for the future however, it is that we are hopeful we are going to apply for a booze license! We have a great brunch crowd come in, especially on a Sunday and Northampton is lacking a decent place to get Bloody Marys. We want to change that. We’ve had people come in hungover or fresh from a night out in the early mornings, looking defeated, and we can tell just by looking at them that they are in need of a sausage roll and a Bloody Mary so it would be great if we could deliver that. The important thing for us is just making sure not to get complacent or take anything for granted; we always make sure to stay on our toes. It is clear to see after speaking with the guys at Magee Street bakery and tasting the different dishes why people are willing to queue around the corner. The pair is doing an incredible job bringing the people of Northampton something special and Magee Street bakery really is the definition of a hidden gem. Our recommendation is simple; pop in and prepare to be blown away.